The Trophy sandal is so comfortable and cute, you~ll want to give it an award. 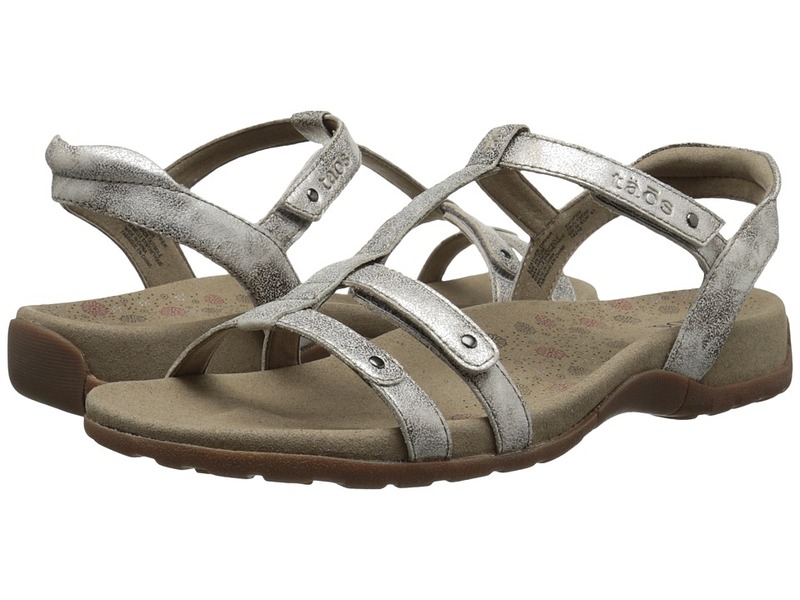 Strappy, two-way adjustable sandal upper constructed with full grain leather. Stud and stitch details add aesthetic appeal. Forefoot and instep straps each have a hook and loop closure to ensure a customized fit. Microfiber-lined contour footbed with metatarsal support and cushioning. 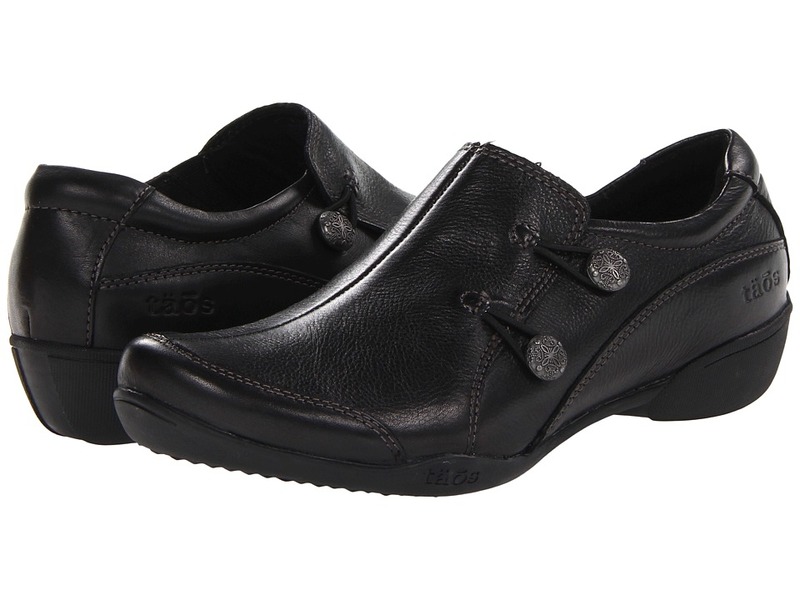 Aegis Microbe Shield protects footbed against odor, stains and deterioration. Flexible rubber outsole. Imported. Measurements: Heel Height: 1 2 in Weight: 7 oz Product measurements were taken using size 9, width M. Please note that measurements may vary by size. Weight of footwear is based on a single item, not a pair. Get versatile style combined with unmatched comfort with the t&amp#228os Encore slip-on. Full grain leather upper with metal hardware for much added visual appeal. Medial gore at the vamp with a bungee closure for easy on-and-off wear and a secure fit. Microfiber lining ensures an abrasion-free environment for all-day wear. 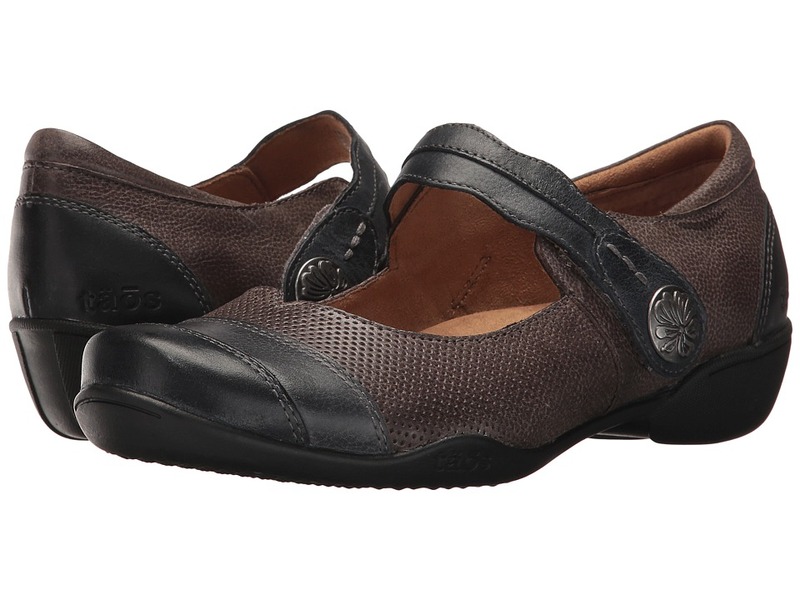 Leather-covered Curves Pods footbed is removable and provides all-day comfort and support. Treated with Aegis microbe shield for protection again odor, staining and footbed deterioration. Flexible rubber outsole is durable for the challenges of a busy day. Imported. Measurements: Heel Height: 1 1 2 in Weight: 10 oz Product measurements were taken using size 8, width M. Please note that measurements may vary by size. Weight of footwear is based on a single item, not a pair. 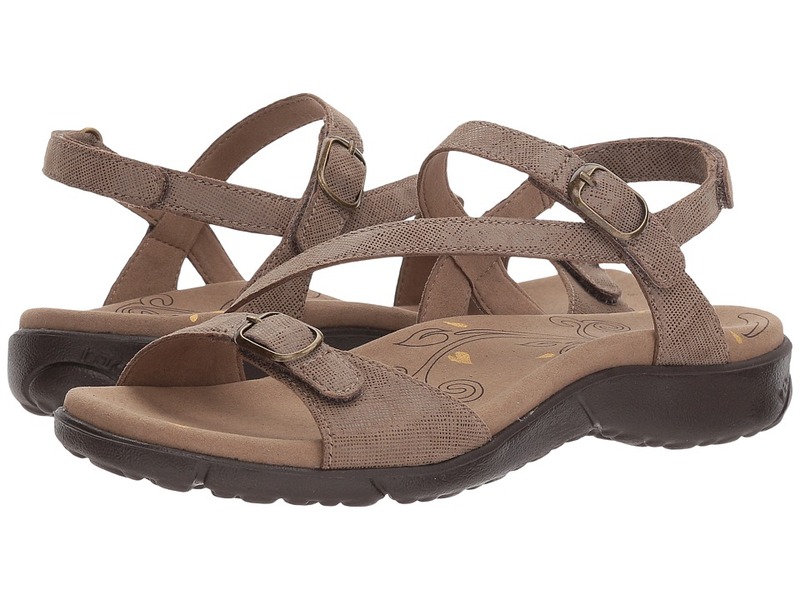 Trulie is a truly delightful sandal offering from taos Footwear. Leather and woven textile upper. Dual hook-and-loop closure straps. Soft leather linings. Suede-covered cork footbed. Durable rubber outsole. Made in Spain. Measurements: Heel Height: 1 3 4 in Weight: 7 oz Product measurements were taken using size 38, width M. Please note that measurements may vary by size. Weight of footwear is based on a single item, not a pair. 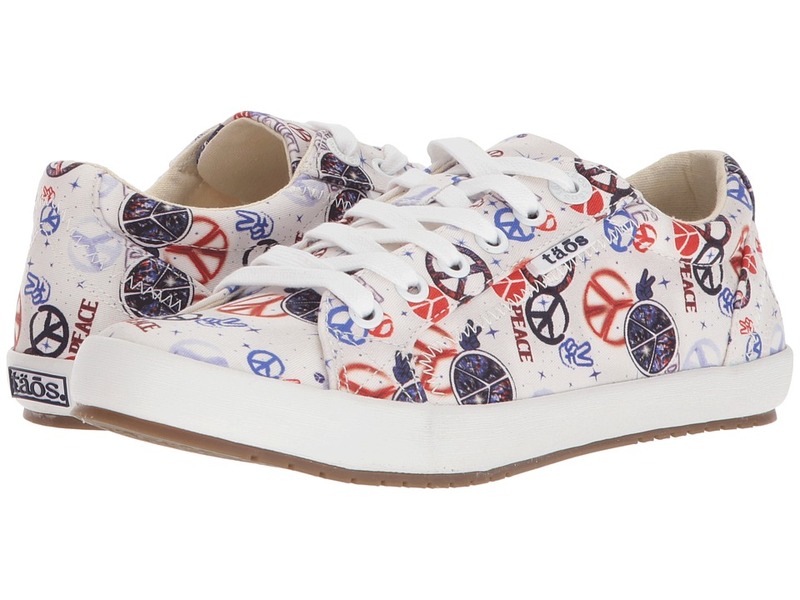 Enjoy the feeling of Freedom to go where you want, be who you want, and do what you want, with these t&amp#228os sneaks! Premium leather upper with metal embellishments. Lace-up closure for an adjustable fit. Man-made lining. Removable, cushioned footbed for added comfort. Flexible and durable rubber outsole provides traction. Imported. Measurements: Weight: 9 oz Product measurements were taken using size 8, width M. Please note that measurements may vary by size. Weight of footwear is based on a single item, not a pair. 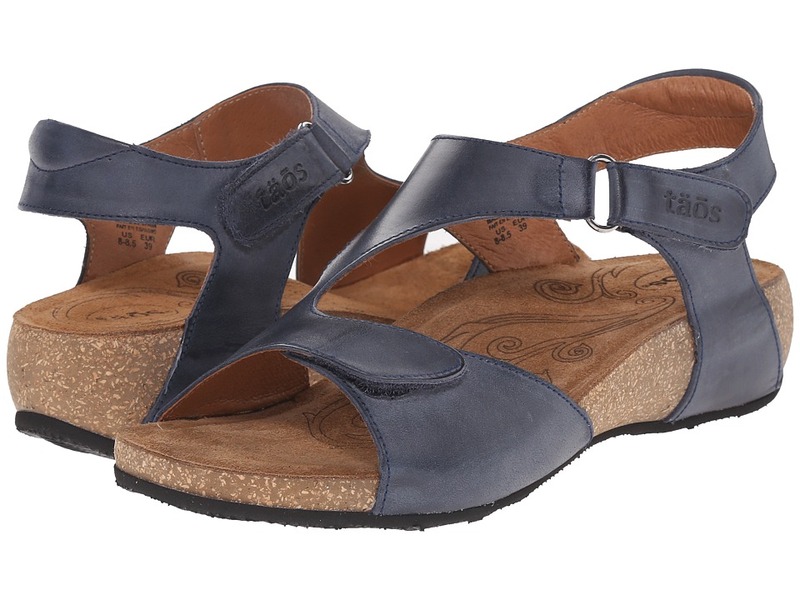 Wherever you roam, warm weather is sure to follow when you~re rockin~ the retro Rita sandal from t&amp#228os. Smooth leather upper. Hook-and-loop straps for an adjustable and easy fit. Breathable suede lining feels great against the foot. Cushioned, contoured cork and PU footbed for all-day wear. Lightweight rubber outsole for a pleasurable walking experience. Imported. Measurements: Heel Height: 1 3 4 in Weight: 8 oz Platform Height: 1 2 in Product measurements were taken using size 39, width M. Please note that measurements may vary by size. Weight of footwear is based on a single item, not a pair. Enjoy ultra-hip styling with the perfect heel in the Crave boot by t&amp#228os&amp#174. Leather and suede upper. Lace-up and zipper closure. Leather and faux fur lining. Curves Pods removable footbed with Soft Support. Durable TR outsole. Imported. Measurements: Heel Height: 1 3 4 in Weight: 1 lb 11 oz Shaft: 7 in Platform Height: 1 2 in Product measurements were taken using size 39, width M. Please note that measurements may vary by size. Weight of footwear is based on a single item, not a pair. The Star was recently rated as a top travel shoe by USA today! Please note: This style runs small. It is recommended to size up a half size. 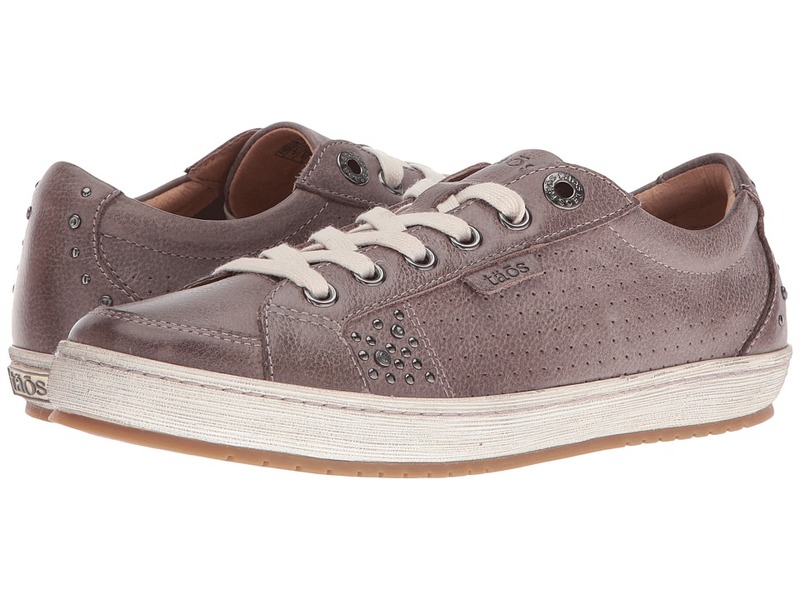 Let your style shine with the eye-catching look of the Star sneaks from t&amp#228os! Washed canvas upper. Lace-up closure for an adjustable fit. Soft textile lining. Removable, cushioned footbed for added comfort. Flexible and durable rubber outsole provides traction. Imported. Measurements: Weight: 9 oz Product measurements were taken using size 8, width M. Please note that measurements may vary by size. Weight of footwear is based on a single item, not a pair. 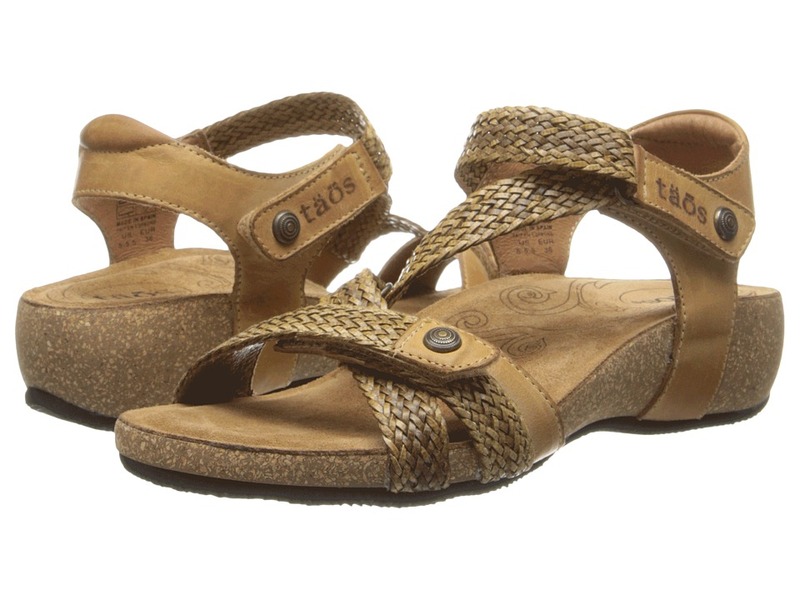 You won~t be able to take your eyes of the Beauty sandal from t&amp#228os. 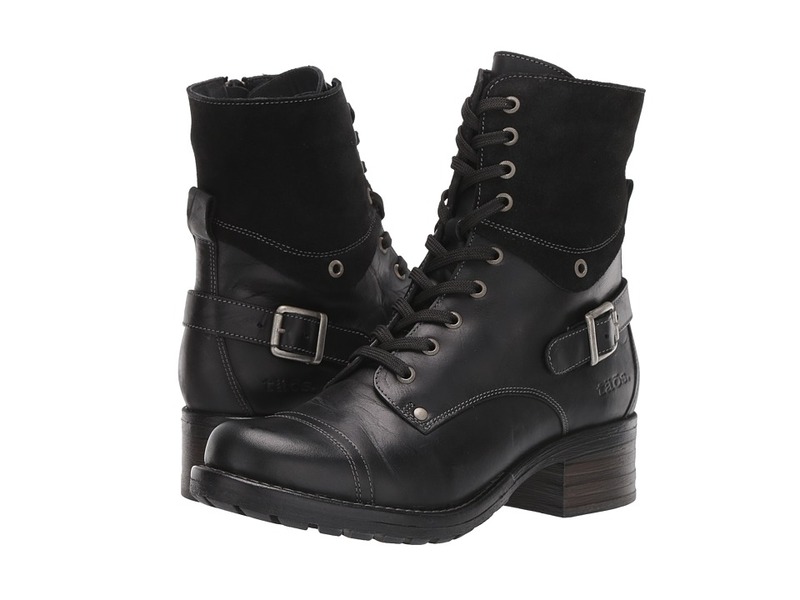 Leather upper with intricate tooling detail on the straps. Adjustable buckles at ankle and vamp. Premium microfiber lining feels great against the foot. Molded, contoured polyurethane footbed with arch and metatarsal support also provides a toe bar for added stability and an SILVADUR Antimicrobial Shield to protect against odor, staining, and deterioration of the footbed. Durable man-made outsole. Imported. Measurements: Heel Height: 1 in Weight: 7 oz Platform Height: 1 4 in Product measurements were taken using size 9, width M. Please note that measurements may vary by size. Weight of footwear is based on a single item, not a pair. They~ll say Bravo when you finish your outfit with these adorable mary janes. Full grain leather upper in a mary jane silhouette. Hook-and-loop strap for easy on and off. Premium microfiber lining feels great against the foot. Curves Pods removable footbed. Durable rubber outsole. Imported. Measurements: Heel Height: 1 1 2 in Weight: 11 oz Product measurements were taken using size 8.5, width W. Please note that measurements may vary by size. Weight of footwear is based on a single item, not a pair.